As one of the most embraces immigration destinations, Canada welcomes over 200,000 new arrivals every year. The decision to immigrate to another country is a significant step and while looking for a better life can seem a hard challenge, Canada is one of the countries that can make your dream come true. Within the last years, the immigration policies in Canada have been improved in order to create a smoother and straightforward process, based on the country’s continuous need for skilled workers and highly trained professionals. The Immigration Office is specialized in delivering applications under the skilled worker visa category, which is the most popular Canadian visa program, intended to attract people with high level of skills and rich experience. Whether you are interested in applying for a Express Entry Visa with a Skilled Worker Program, reunite your family or invest and start a business in Canada, all our advisors have a strong experience in dealing with Canada Immigration programs and we are registered with I.C.C.R.C, the legal Canadian authority, Immigration Consultants of Canada Regulatory Council. 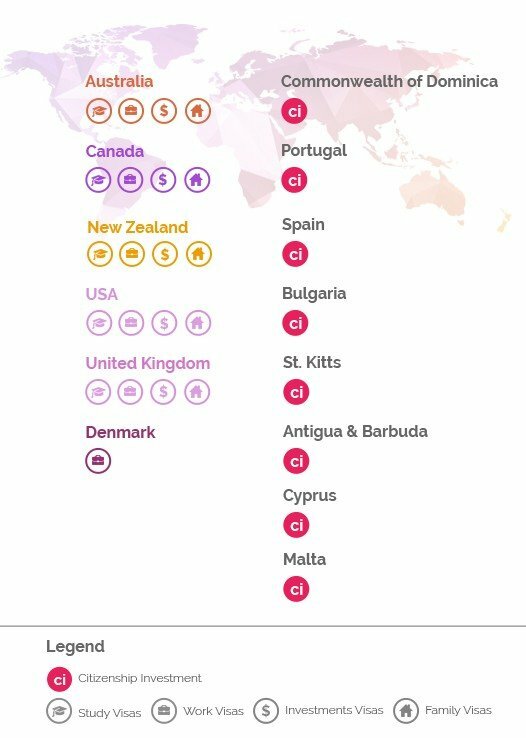 Another strong asset of Canada is the high standard of living, along with the job system security and the low stress level as per country indicators. Fortunately, the new immigration to Canada programs have been diversely developed to cover a wide pool of professions, and the possibility to apply under Provincial Nominee can boost your chance. If the Skilled Worker program has a high number of application for your profession, you can always get a better chance in applying for a specific province where your profile is highly needed. We are here to maximize your chances for immigration to Canada and to give you straightforward advice based on our comprehensive expertise, our knowledge in immigration law and most important, on our interest to submit applications that will be approved. Interested in finding more about your options for immigration to Canada from UAE? *The Immigration Office is registered with the Immigration Consultants of Canada Regulatory Council - the regulation authority to certify immigration consultants for Canada. Canada’s education has an amazingly positive awareness given the quality and excellence across of the entire education system. Canada’s major strengths in education? Elementary students in Canada are ranked among the world’s top five academic performers in reading, mathematics and science in the Organisation for Economic Co-operation and Development (OECD) Programme for International Student Assessment. Over 90% of Canada’s college graduates are employed in their field of study within six months after graduation and 93% of employers are satisfied with graduates. Known as leaders in language training with a wide variety of programs in English and French. Canada’s universities are ranked among the best in the world. Strategic links and active international collaboration and research agreements with counterparts all over the world. You or your family members can live and work anywhere in Canada for the length of your course. Your degree or certificate will guarantee a 3-year work permit by the government after graduation. After graduation you can apply for permanent residence then leads to citizenship for you and your family. At The Immigration Office, we have a department specialized in Canada Student Visa. All our Student Visa assessment are free, individually made according to your needs and 100% confidential. One of the major changes in Canada immigration programs for high skilled workers was the launch of the Express Entry program in January 2015. This new system has been introduced to create a faster and efficient program to respond to the country’s need for professionals. The Express Entry Canadian system has a direct impact on Provincial Nominees Program - PNP. Starting January, all territories across Canada will be able to review your profile and check your application in the government’s Job Bank, and by doing so, every application’s chance is higher than ever. If your application score is not the highest when it comes to Express Entry, there is a chance for your profile to be the best fit for a specific province in Canada where there is a shortage in your professional profile. During this stage, your skilled worker profile will be revised and assessed in order to identify the best match within the Express Entry Immigration Program list. The Immigration Office core expertise relies on the the Express Entry program, where our legal and program advisers can use their knowledge to the fullest in regards to the immigration law system, the initial requirements for obtaining a great score and the Step-by-Step plan they create for you to ensure your application’s success. We can make a complicate process become an easy process for you to follow. There is a large variety of Skilled Migration Program options and right after a full assessment with one of the Skilled Migration advisor, we can identify where you can fit best in order to have a successful application. In order to enhance and improve your success rate, The Immigration Office will generate your application evaluation before even submitting your application. Based on your occupation or trade, the level of English knowledge, your work experience and age and taking in consideration all extra points enhancers like applying to a state that requires precisely your skills, our mission is to place your application in the best fit option of the Express Entry. After meeting all criteria for one of the immigration programs within the Express Entry and after already preparing for your ranking score, we will submit your application to the pool and also register you for the Job Bank, in order to enhance your ranking by finding a valid job offer or answering to a specific territory need. At The Immigration Office, all our team members have a long history in succeeding applications for the Canadian Federal Skilled workers and starting this year, Express Entry. We have witnessed changes within the process, the profession eligibility and requirements throughout time. The Immigration Office has an advantage of being ICCRC registered, being up to date with all the information, documentation and new regulation, keeping your application on safe and skilled hands. 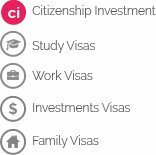 All our initial Skilled Migration Program Visa assessment are free, individually made according to your needs and 100% confidential. Call us today or book an assessment to see if you qualify for the Express Entry Program Visa. Crafted to attract experienced business people and sustain a booming economy, Canada’s Business Immigration Program is one of the most successful programs for generating revenues and employment in the country. The Immigration Office can deliver the legal, immigration and business advisory with in house specialists or partnering and working close to any legal entity that you prefer. Our advisors have delivered bespoke solutions for various clients working on full service and advisory plans or by integrating the immigration component within the strategy of our client’s legal representatives. At The Immigration Office, we have a dedicated team working with in-house and external legal partners for Investment programs and Business Start-Ups in Canada. Call us today or book an assessment to see how you can become a Canadian Investor. Whether you are a Canadian resident or you are married to an Canadian citizen or resident, whether you are in a common law relationship with a resident for over a year or you are interested in sponsoring your close family, Spouse/Family is exactly what you need. All of our advisors at The Immigration Office have experience in bringing families together and reuniting them, and we know the simple and efficient way to do this. The Immigration Office is founded by people, so the Spouse/Parent visa is one of the products of the utmost importance for us. We understand that you want your family members to join as quickly as possible. Our experience with family migration will facilitate a fast and accurate selection of the most appropriate visa option for you, the lodgment and processing of your visa case along with the insurance of providing full support and advisory for any type of complications in meeting the sponsorship. All our initial Spouse/Family Visa assessments are free, individually made according to your needs and 100% confidential.